Winemakers, wine enthusiasts raise $830,000 for healthcare for vineyard workers. 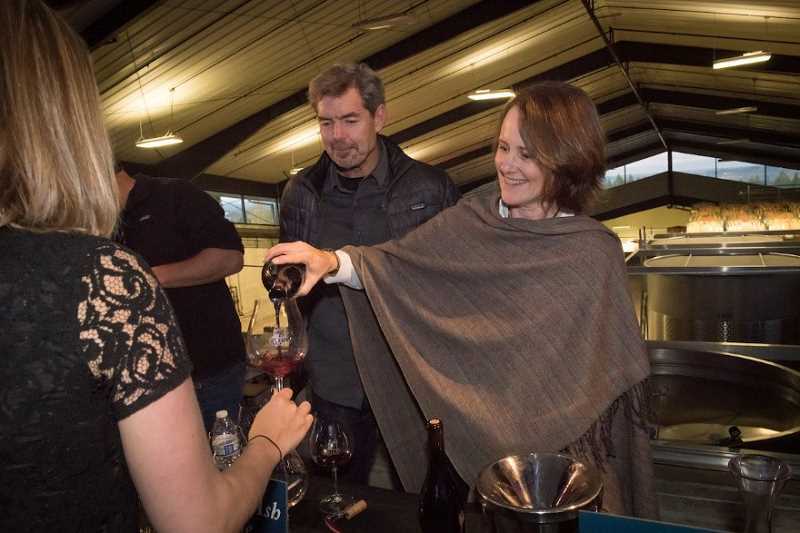 ¡Salud!, a program through Tuality Healthcare that provides healthcare services for vineyard workers and their families, is proud to announce that its 26th annual Oregon Pinot Noir Auction weekend raised $830,000. The ¡Salud! Cuvée Tasting and Big Board Auction held Friday, Nov. 10 at Ponzi Vineyards in Sherwood, Oregon, welcomed 425 guests who generated $150,000. The Saturday, Nov. 11 Dinner and Auction Gala, held in Domaine Serene's newly opened Clubhouse, hosted 320 people who contributed $680,000 through live and silent auctions, special appeal, ticket sales and sponsorships. Domaine Serene's "This is Burgundy" auction lot including accommodations at the historic Château de la Crée for six people, vineyard and winery tours, tastings and more attracted the highest bids raising $75,000 between two winning bidders. "This was our second highest generating auction ever, and we are very thankful for the generous contributions of our donors, sponsors and hosts who made this weekend event possible," said Pat Dukes, ¡Salud! Steering Committee Co-Chair and owner of Dukes Family Vineyards. "The funds raised will allow ¡Salud! to continue to provide health services to our vineyard workers and their families, who are the cornerstone of our wine industry." This year's ¡Salud! events were presented by O'Brien Design Build & Open Concept Architecture. Lynn and Ron Penner-Ash of Penner-Ash Wine Cellars were presented with the Los Heroes de ¡Salud! award for their outstanding contributions to the ¡Salud! program. 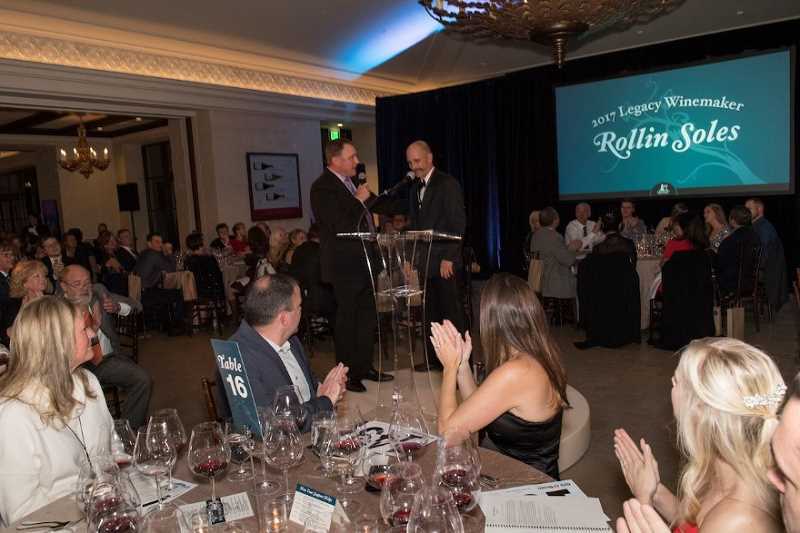 Winemaker Rollin Soles of ROCO Winery was honored as this year's Legacy Winemaker. The 2017 ¡Salud! Vintners Circle members who offered 2016 ¡Salud! Cuvées included: Adelsheim Vineyard, Alexana Winery, Amalie Robert Estate, ArborBrook Vineyards, Archery Summit, Ayoub, Bergström Wines, Bethel Heights Vineyard, Big Table Farm, Brittan Vineyards, Brooks Winery, Chapter 24, Chehalem, Cristom Vineyards, Dobbes Family Estate, Domaine Drouhin Oregon, Domaine Roy, Domaine Serene, Dukes Family Vineyards, Dusky Goose, Elk Cove Vineyards, Erath Winery, Evening Land Seven Springs Estate, Gran Moraine, Hamacher Wines, Hyland Estates, Lange Estate Winery and Vineyards, Patricia Green Cellars, Penner-Ash Wine Cellars, Ponzi Vineyards, R. Stuart & Co., Raptor Ridge Winery, Résonance, ROCO Winery, Scott Paul Wines, Shea Wine Cellars, Soter Vineyards, St. Innocent Winery, Stoller Family Estate, Trisaetum, WillaKenzie Estate, and Winderlea Vineyard & Winery. Additional winery partners include Argyle, Sokol Blosser, and Willamette Valley Vineyards. ¡Salud! is a unique collaboration between Oregon winemakers and healthcare professionals to provide access to healthcare services for Oregon vineyard workers and their families. The program was created in 1991 by a group of Oregon winery owners and Tuality Healthcare physicians in order to address the hurdles faced by seasonal workers who cannot meet their basic health needs with only a few months' income to stretch over a full year. The vast majority of field workers move from one crop to another, and their temporary status with each employer makes them ineligible for health coverage. Without insurance, these men, women, and their families often do not seek professional healthcare until their problems become acute. Their knowledge of basic health education is limited and they are overwhelmed by the maze of complex and confusing resources available in the medical system. The mission of ¡Salud! is to bridge this gap. Visit www.